V2477. 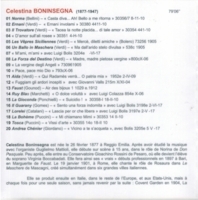 CELESTINA BONINSEGNA: Arias & Duets (w.Luigi Colazza, Luigi Bolis & Giovanni Valls) from Norma, Ernani, Il Trovotore, I Vespri Siciliani, Ballo, Forza, Aida, Faust, Ruy Blas, La Gioconda, La Boheme, Tosca, Andrea Chénier, Il Guarany & Loreley. (France) Malibran 106, recorded 1904-17. Final Copy! 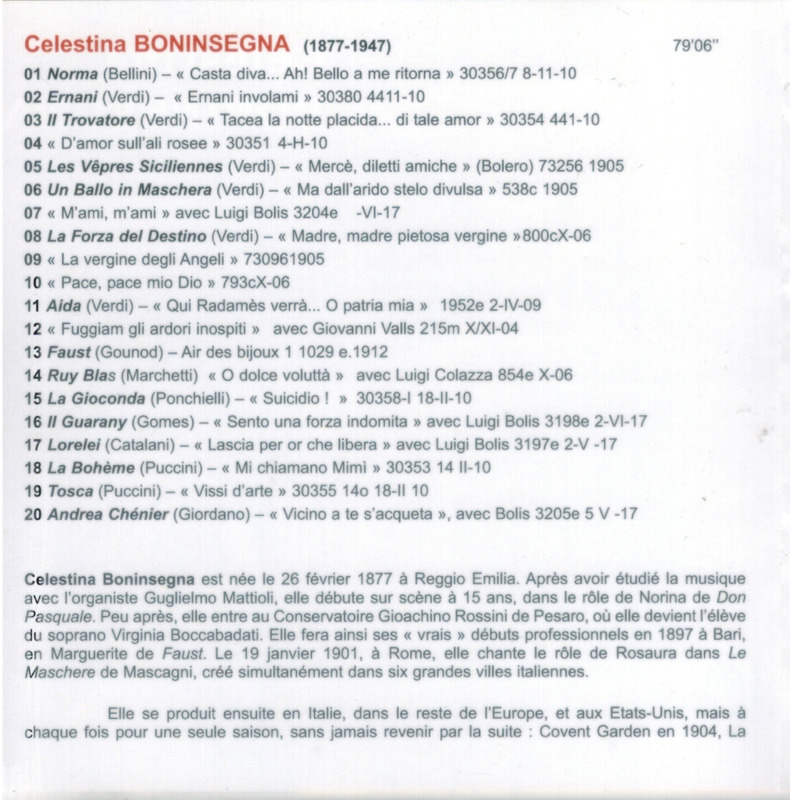 "On record [Boninsegna] has few rivals in the dramatic soprano field. The luscious, easily produced voice rings out so impressively that the limitations of the acoustic process are quite forgotten." �Celestina Boninsegna was an Italian operatic soprano, known for her interpretations of the heroines in Verdi's operas. Although particularly eminent in Verdi's works, she sang a wide repertoire during her 25 year career, including Rosaura in the world premiere of Mascagni's LE MASCHERE. 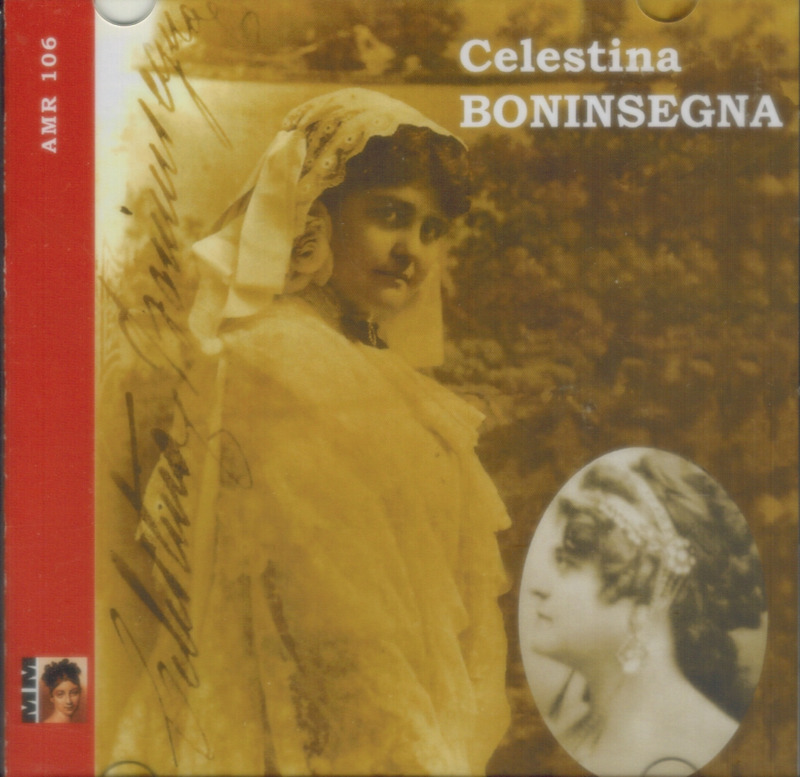 Boninsegna made many recordings between 1904 and 1918, and her voice was one of the most successfully recorded in that period. In 1897 she made her d�but at Bari as Marguerite in Gounod's FAUST..This was followed by many engagements throughout Italy, Europe, and the United States including Covent Garden (1904), La Scala (1904�5), Teatro Real (1905�6), and the Metropolitan Opera (1906�7). She also appeared in Boston (1909�10), at the Liceu in Barcelona (1911�12), in St Petersburg (1914), and in numerous less important theatres in Italy and abroad. She retired from the stage in 1921 and spent the next two decades teaching singing. Amongst her pupils was Margherita Grandi.